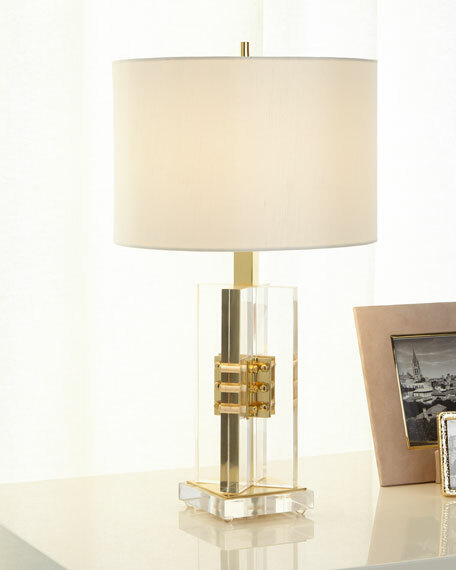 This lamp has brass nuts and bolts that are securing acrylic crisscross slabs. The brass nuts and bolts provide an eye-catching design floating within the acrylic. 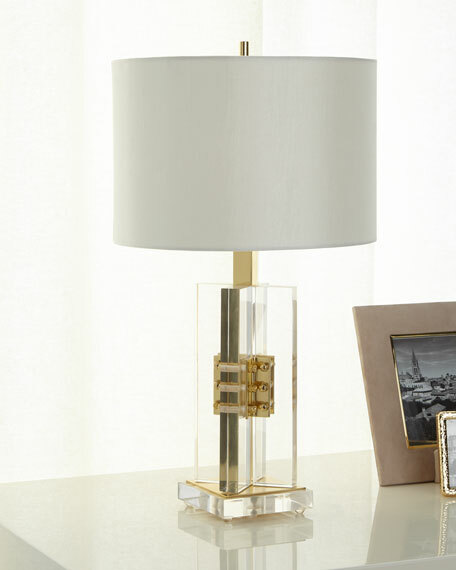 Handcrafted acrylic lamp with brass detail. Boxed weight, approximately 16.5 lbs.